Reviews of the Sony FE 70-200mm f/4 G OSS from around the web. 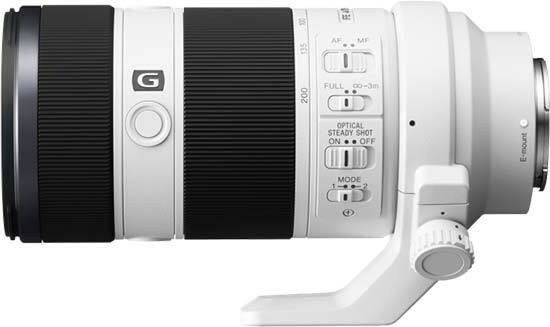 The Sony FE 70-200mm f4G OSS is a high quality telephoto zoom lens that's designed for Sony's mirrorless Alpha cameras. As an FE lens, it's fully-corrected for use on full-frame Sony mirrorless bodies, but also compatible with their APSC models, where it becomes equivalent to 105-300mm. Launching a new range of cameras is a brave endeavour, and all the more so if it makes use of a brand-new lens range. Persuading photographers to ditch their existing kit and take a leap into the unknown can be tough, and that is exactly the problem that Sony has faced with the launch of its range of full-frame Alpha 7 compact system cameras. So far Sony didn't really bother to offer high quality tele lenses for the E-mount but with the introduction of the full format camera lineup, Sony seems to have changed direction towards the higher end of the market. Following the initial full-format Zeiss offerings, the new Sony FE 70-200mm f/4 G OSS is the first professional grade E-mount tele lens.